Aluminum slats are used in textile exhibition as well as conservation and storage. The standard slat is 3” wide x ⅛” thick with 2” wide hook Velcro adhered to one side using archival epoxy. The standard finish is white powdercoat, but any of our powdercoats are available. 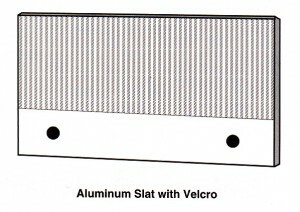 Textile hanging slats have pre-drilled holes for attaching to a wall or mounting panel. Maximum slat length is 192”. For lengths over 192”, use multiple slats. Maximum powdercoated length is 150”; for textiles over 150” we can offer multi-part or unfinished slats. We make textile hanging cleats from two bars of aluminum, joined to form a pocket that accepts a hanging slat. 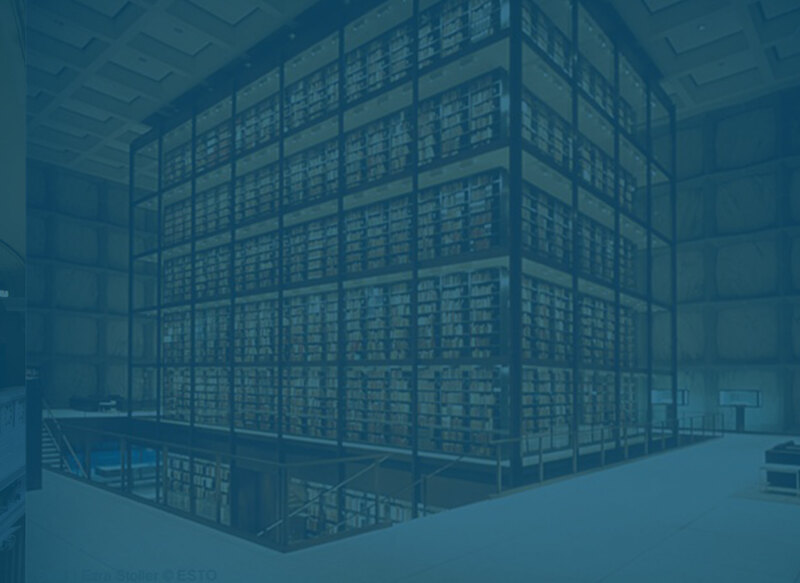 These are particularly useful for study collections where objects may be taken down or rotated on a regular basis. The standard cleat is 3” wide with a white powdercoat finish, but any of our powdercoats are available. 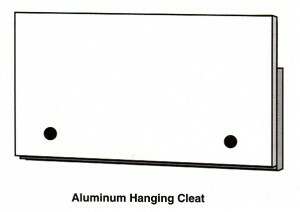 Cleats have pre-drilled holes for attaching to a wall or mounting panel. Maximum cleat length is 192”. For lengths over 192”, use multiple cleats. Maximum powdercoated length is 150”; for textiles over 150” we can offer multi-part or unfinished cleats.